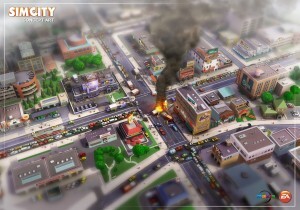 I have bought every version of SimCity and playing it formed an important part of my childhood and teenage years; it was always a game perfectly fusing my creative and analytical energies all in a setting which encouraged blank-slate “make your own destiny” as opposed to the rigid narratives most competition-based games demanded yet which my non-competitive nature never found that compelling. Millions of consumers apparently agreed with me. But I don’t want this post to be about me. I believe I’m representative of a “silent majority” of the millions of fans who may not be SimCity “elites” but have indeed played and loved each or most versions of the game. 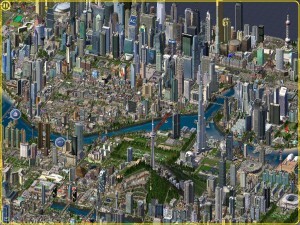 For example, I have never modded and the last time I actively participated in an online forum devoted to SimCity was 10 years ago, and though I avidly played Sc4 for a couple years upon release, life changes and lack of further updates to the franchise led to a gradual drifting away from frequent play. In other words, I’m very unlikely to be considered part of the exclusive long-tail “elite” or “vocal minority” echelons of SimCity gamers. And I would very likely have remained a casual, silent presence occasionally checking in on updates for a game I intended to eventually buy. That changed yesterday. The Maxis Live Broadcast Q&A presentation was so insulting and off-putting I was motivated to sign up here for the first time. I’ll be the first to say that I know that the game isn’t out yet so some of these details may change, but our collective role on this forum is to advocate however we can for a game we all clearly want to love. But as things stand based on the information presented yesterday, many of us will just not buy the game. All this I say in the context of my utmost admiration for many of the talented individuals working on this game. Maxis, you have some incredible talent in-house. So here a humble request from the (formerly?) silent majority to use that talent to make a true city simulator, not a SimHamlet separated by mandatory no-man’s-land to other SimHamlets looking yet again more like a middling approximation between The Sims and SimCity which endears itself to neither set of fans. That’s not a real city, not a real region, and if it turns out that this is indicative of final gameplay, it won’t garner at least my real attention or money.